Speaking of Alan drumming and a couple of other things in this post there are some excerpts from a Billy interview I thought would be fun and enlightening. "Music Street Journal:What's been your biggest Spinal Tap moment? Billy Sherwood:The biggest Spinal Tap moment was definitely in Poland when were playing a live radio broadcast and within the first three minutes of the set all of the power went out. It was out for fifteen or twenty minutes. It was very funny because usually whenever there is a dilemmma like that, people sort it out really quickly, which gives Alan White a chance to do a drum solo, because there is no power, so it's an acoustic drum solo. The power went out. Alan immediately kicked into gear, and I started realizing that this wasn't going to get fixed very quickly. So, I left the stage and was standing at the edge of the stage, then everybody else left. Alan was there just beating the hell out of the drums for a good five minutes. I started thinking, "this really is going to take a little bit longer than this. How long can he go?" So, I'm looking at my watch and looking at him. He's doing these radical fills and these great rolls. Finally it just kind of ended in a dut, dut, dut, dut, dut.....dut. He put the sticks down and ran off the stage. We stood around for about ten or fifteen minutes waiting for the power to come back on. That was definitely the funniest live Spinal Tap moment I've ever experienced. A character in one of Stephen King's novels observes that the excitement of he first-time sexual experience is often lost on the more introspective natures: instead of letting go and enjoying the act, some guys will hold back and just observe themselves and the partner, with slight disbelief at what's unfolding... "oh, so this is how it feels; hey, is it really me doing that?" I found this to be very true about my first-ever experience of Yes live on stage. Perhaps waiting for something to happen for nearly 16 years is the worst spoiler of all; perhaps I am a bit dulled from having heard, hundreds of times, all the songs in countless versions, official and otherwise; but most of all, I think, my experience of the show was more of an observer than a participant. This is perhaps not unusual and not necessarily wrong: I know the music well but I'd never actually been to a live rock show before. 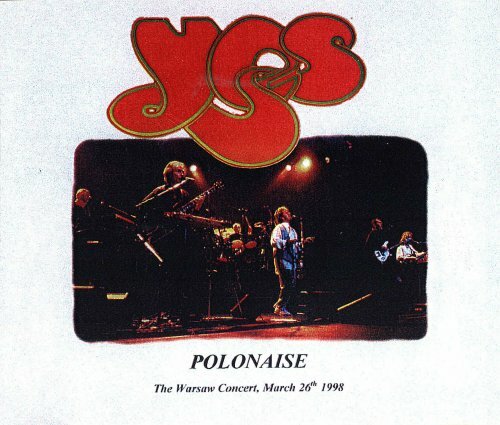 The above will explain, I hope, the nature of my reviews of all the three shows Yes gave in Poland in March 1998. The setlist was basically the same as during the rest of the European shows, and only a slight modification of the American leg of the tour that had concluded in December '97. What can be said about the perfection of And You And I or the dramatics of Heart of the Sunrise that hasn't been said many times over before? This is why, most of the time, I will be concentrating on issues that will appear tangential or anecdotal to some; but these very things were what I was looking for in the shows: the things that I had not, before, seen or known. There weren't any posters around the Warsaw city center (no booty for me :) but all three shows were sold out all the same. 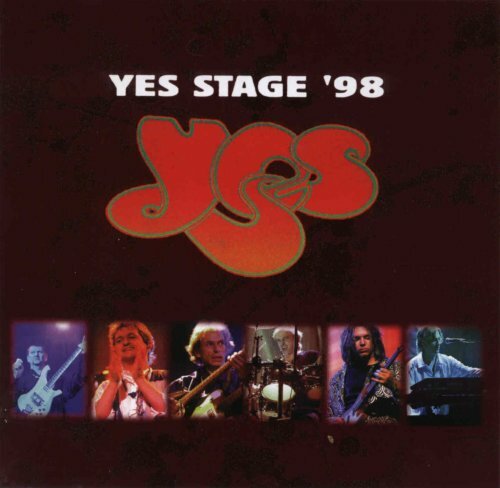 I arrived around noon, and the first glimpse of Yes in real life I had was the sight of the three huge, gray trucks parked, shingle-style, in front of the concert venue, with dimmed yellow Transam Trucking Ltd logos on the sides and a fax number in Sheffield, England on the back. Further on I found one of the two tour buses, parked so close to the "private" entrance that the band could probably just jump into it without ever stepping on the yard. No sight of the band themselves, though - and not until the last show in Poznan. The venue, "Sala Kongresowa" (which translates into "Congress Hall" though it isn't really) is located on the ground floor of the huge and ugly Warsaw landmark: the Russian-built Palace of Culture. Those who have ever seen a postcard from Warsaw probably saw it already; Americans may be familiar with similarly huge-and-ugly "Cathedral of Learning" in Pittsburgh, PA (and can you think of a starchier name for a university building?) which actually reminded me a lot of the Warsaw Palace. Its ground floor itself hosts several theaters, cinemas, a shopping mall, a large book store, a museum (or two) and finally the semi-round Kongresowa. It was the classiest and smallest of all three Polish venues, holding roughly 15 hundred people. Inside the hall it's all crimson plush and pale marble, stylish, stately and half-comfortable. Looking at the Keys to Ascension booklet, I find that the Warsaw venue bears some similitude to the SLO theater, except the roof in Kongresowa is devoid of the SLO extravanagnza and th hall itself is raised quite high towards the back, while the SLO floor seems nearly level. You won't see thrash-metal bands performing in Kongresowa, but many of the more esteemed bands have played there, including the Rolling Stones back in the sixties. I wasn't at Warsaw.. I live in UK... but by a fluke I found out today that Eutelsat were carrying a broadcast of the show tonight (FM mono). It sounded great but the power failed half way through Siberian Khatru, Alan played a four minute drum solo, acoustically, before Igor brought the band back in at the keyboard solo break. The surprise of the show was a beautiful version of Polonaise ( from Private Collection by Jon & Vangelis) played by Jon & Igor - (doesn't quite have the same ring to it )- and dedicated to Gdansk and Solidarity. The broadcast stopped just before The Revealing Science of God....*****!!!!!! Steve Howe on guitar there. Okay thank you uh..we did this album last year and..uh here's a song from the album..uh one of the guys who's..uh helped us the last few..uh albums is now in the band. He's a wonderful guy. He's from Las Vegas so he's very at home across the road in the casino. His name is Billy Sherwood. Vitan Bass, he's a vitan bass. What is that? Thank you. I'm still trying for the [???]. The song is called 'Open Your Eyes'. Thank you so much, thank you. Thank you very much, thank you. It is..uh it's such..uh a great..uh pleasure to be in Poland I've got to say. It is wonderful to be with you this evening, thank you. [???] and..uh exactly. This is..uh a song we recording in England before I was born. It true and..uh this is..uh a song we, we, we rehearsing a lot, you know for this song, maybe half an hour rehearsal. You'll have to translate that further back over there because it is like...uh Vita mass. Dienkia. Okay so we were ready record and Eddie Offord was our..uh producer, helper and he used to make the tea like this. Just like that and I heard this beautiful sound and I said 'Eddie quick, start the motor, start the tape, start'. Chris Squire on bass guitar. Thank you. [??? ], [???]. Thank you so much thank you. It's always uh..a great pleasure and a privilege to leave you in the capable hands, fingers, guitars, guitars, sorry and very good, very good foot work. Mr. Steve Howe. Steve Howe. Beautiful, wonderful. Thank you. Alright, aaaaaaaaaaalright then, thank you very much. Tezch, Tezch, Tezch, that's, What is it? Tezch, Tezch, Tezch, Tezch. It's very dificult. English is very difficult. It's true, we're going now to do a duet and as you say in English, duet, in Poland Sca duet. So we have one thing in common or two, duet. It's a song we we did last summer on the the last record of..uh 'Open Your Eyes'. Duet. Tenqui, thank you very much. Barvo, Barvo, thank you. Uh..I made a promise..uh..15 years ago, 16 years ago to be able to sing this song here in Warsaw, so I'll sing a song for you..after the other song. After this one. This is a song we recorded in Switzerland and..uh..in Switzerland there are a lot of tiny little cows running around very, very fast. It's true. Very tiny. What was that, there they go now, oh yeah, oh yeah. What the heck is that? Ok, Ok, Ok. This is a song, this is a song called 'Wondrous Stories'. I had a dream 16 years ago, I did. And I, I wrote this song with a friend of mine. Because, uh.. Gdansk, Solidarity, they changed the world, really, changed the world. So I'll sing this song. On keyboards, Mr. Igor Khoroshev. Grand master of the bass guitar, Mr. Chris Squire and on the drums, the amazing, the original action man, Mr. Alan White. [???] Thank you so much. It's..uh it's wonderful to be in a Polska 25 years later, 25 years after we sung that song first time in London to be here tonight into the 21st Century thank you, thank you so much. [???]. Okay, sounded okay to me. It's just a dream to be here with you. We'd love you to sing this next song. Halfway through you get up and do the..uh Polsk Polska. Dancing. Up standing up halfway, I will wave and will say 'Everybody up, and you dance the Warsaw..Warsaw watooze, Warsaw watooze, Warsaw watooze', whatever you do. Here we go. I'd like to thank the crew and the great sound, lights and..uh all the production. Big hand for all these wonderful people. Okay, and we'd like to thank all the people at home listening to this show on the radio. Hello everybody on the radio. I think it's about three of them. Hi..uh..yes Okay George.